Grey. Again. Yesterday dawned with no majestic sunrise, nor the many brilliant hues that accompany it. Dense cloud cover deprived us of this vibrancy as instead midnight black faded — ever so slowly — to morning blah. It's a colour tone that stayed with us through the day. And most of the past few months for that matter. My patience with the monochromatic palette of a winter landscape has started to wear thin by this time of year. We are looking at the end of January, which has been admittedly not all that bad considering the meteorological promises that were made for our frosty corner of the world. A nasty one, they told us, plunging us into the deep freeze and burying us under plenty of snow. Regardless of the fact that it hasn't been the hardship they promised thus far, it's still been winter. It's cold, it's damp, it's dark, it's miserable. It's a typical Canadian winter where we Canucks hunker down and dig in to ride out the season's worst and revel in its best. See, there are some people who blaze forth into the cold and snow, acceptance on their faces, determination in the set of their shoulders. They never complain about the shovelling and scraping, never bemoan the lack of sunlight, never whine about the encumbrances of winter wear. Some, like sports enthusiasts and adrenaline junkies who fly down ski slopes and across frozen plains, who tear across ice and careen along woodlot trails, actually look forward to it. Generally, if we're to be honest though, most of us simply tolerate it. We weary of the hats that squash our hair, the boots that feel like 10-pound weights at the end of our legs. Our lips freeze, our noses run, our cheeks burn red from the chill. We breathe through scarves, fumble with mittens. Driving becomes an adventure as lake effect squalls and blizzards make it seem like we're travelling inside a milk bottle. Despite it though we plow through, literally, with our brave Canadian smiles and a cheery gaze towards the joys and pleasures of the three seasons to come next. One of them, hopefully before much longer. 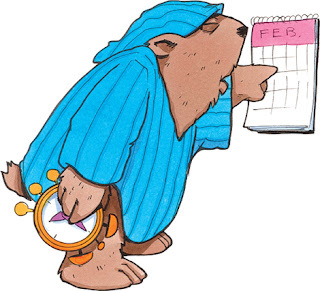 In just a few days some illustrious marmots, with such captivating monikers as Wiarton Willie, Shubenacadie Sam and Punxsutawney Phil, will be letting us know if we will see an early arrival to spring or suffer through another six weeks of winter. 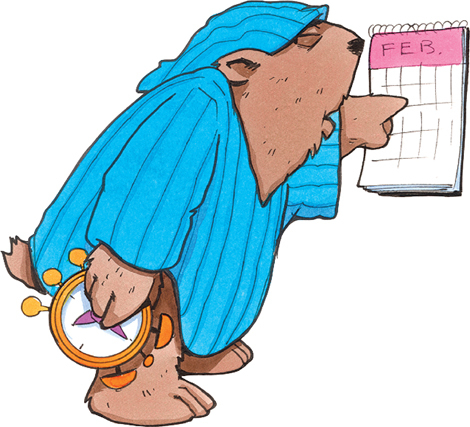 Feb. 2 is Groundhog Day in both Canada and the United States. Across North America at various places, these reluctant fellows and their peers will rise from burrows to take a peek around. If they see their shadow we won't be planning to pack up the coats and boots any time soon. If not, however, we have something on which to hang our hopes. 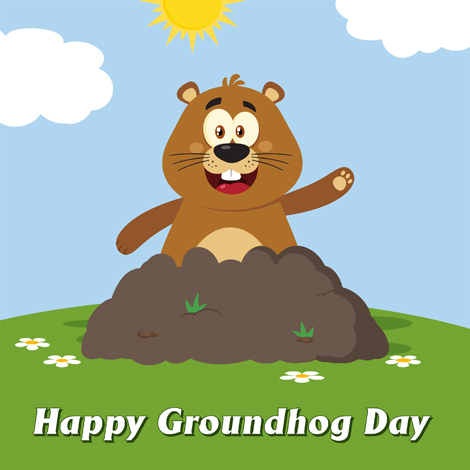 Given that the seven-day forecast is showing minimal sunshine and plenty of clouds and snow for this area, it would seem likely that our Wiarton Willie will be the bearer of good news this year. Being realistic, of course, it's probably more certain that even if warm weather moves in early, pushing back the snow and ice, we're probably not going to see much of a reprieve before six weeks time. However, just the promise for those of us in northern climes can be enough.